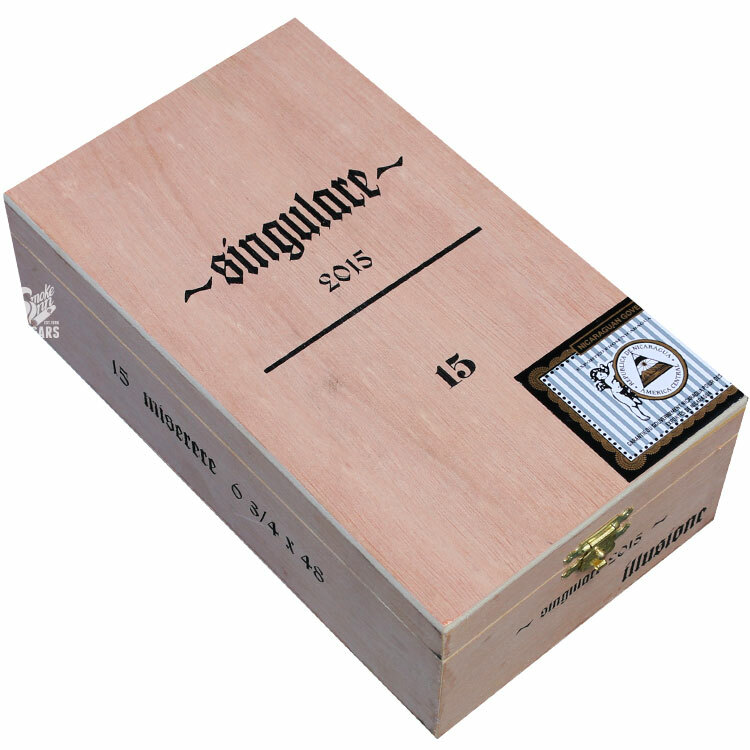 It’s no secret, one of the most highly anticipated cigar releases of the year is Illusione Singulare. In fact, this is the case most every year—as brand owner Dion Giolito showcases a new, custom-blended Singulare each year, using the highest quality tobaccos available. 2015’s edition is known as Miserere, which translates to “Have Mercy”, it marks the sixth cigar in this now-legendary series. And while some Singulare releases are simply size changes, the Miserere showcases an all-new blend, using 100% Nicaraguan tobaccos! This Nicaraguan puro has been custom blended in a single size—6¾” x 48 Churchill—crafted at the world-famous TABSA factory in Estelí, Nicaragua. One thing you will find familiar with this blend is its wrapper, which incorporates the same leaf found on Illusioine’s popular Epernay cigar—a golden-hued, Nicaraguan, natural beauty! As with all Singulare releases, the cigars are made once and only once. These limited editions will not last long on our shelves, make your selection today!